The American Physician Scientist Association in conjunction Duke and UNC Medical Scientist Training Programs are proud to bring you the Triangle Diversity and Inclusivity in the Medical Sciences networking event. With this event we hope to promote networking opportunities between undergraduate students and current trainees, provide information about our training pathway, and introduce the benefits of a career in the medical sciences. The event will take place at Duke’s Trent-Semans Center for Health Education this Saturday, March 30, from 6-8pm. We are passionate about what we do and would love to share this passion with all interested students. 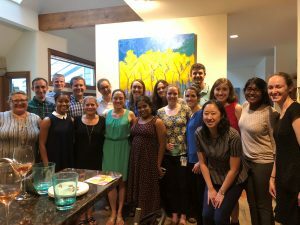 If you would like to come, have dinner, and talk about the many opportunities that a physician scientist career can offer, please RSVP at https://physicianscientists.site-ym.com/events/EventDetails.aspx?id=1203501&group=. We look forward to meeting you! We are very excited to announce that we will be hosting a group of 15 students from Meredith College (in Raleigh). The agenda for the day’s events can be found below. Please join us between 5-6pm at 2035 Bondurant on Friday, when we will be having a social hour with the students. Food will be provided! AIMS will be co-sponsoring a booth at the 2019 UNC Science Expo with the Carolina Genetics interest group (co-led by our very own Yasemin Cole). What: Outreach activities with kids and North Carolinians! I realize this is the same weekend as the AAWSM regional symposium, but if you aren’t able to go we’d love your help volunteering at this event! AIMS will be educating booth visitors about diverse scientists and their accomplishments through a matching card game (look for an event coming soon to help craft these cards!). Next month we will be having our Spring Mentor Social on Thursday, April 25th. It will be a good chance to come and chat with the AIMS faculty mentors about their research, their careers, and ask any questions you might have! These mentors have volunteered their time and are excited to speak with you guys! Please see below for details. There will be food – Potluck sign-up link below! Thank you to everyone who joined us for our first co-sponsored social event of the year! 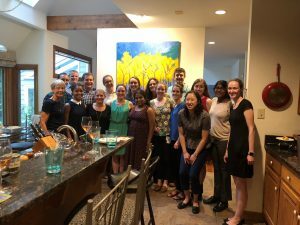 AIMS teamed up with WiNS (Women in Science) and AM-WISE (Advocates for Minorities and Women in Science and Engineering) to host a fall mixer at Top of the Hill! There will be free appetizers for all! 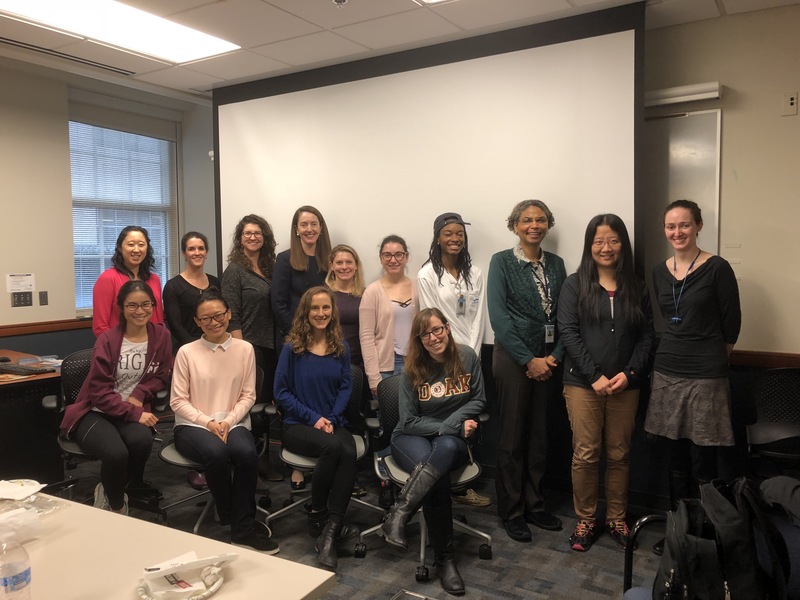 A big thank you to Dr. Carmen Williams, MD, PhD, the Deputy Chief of Reproductive and Developmental Biology at NIEHS, who came to campus to lead small group sessions and plenary talks. 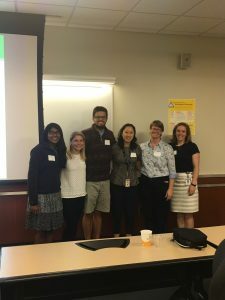 A big thanks to our speakers, Dr. Laura Young and Dr. Susan Henning, for helping us with our CV and biosketch workshop on 8/6/18! We had a great turnout, and we will send followup information about CV templates from UNC TIBBS. 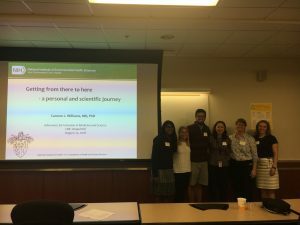 Thank you to all of our students who participated in our panel discussion for undergraduates about MD/PhD programs are, the application process, and the types of research and clinical experiences our students have had prior to applying to these programs. A big thank you to our fantastic panelists and everyone who attended our Microaggressions and Harassment Workshop! We were joined by Associate Dean of Student Affairs Dr. Dent, Chair of Surgery Dr. Kibbe, Assistant Professor of Pathology Dr. Qian, and Women’s Center Program Coordinator Shelley Gist. We discussed stock phrases when encountering microaggressions, such as asking, “Did I hear you correctly?” or simply saying, “I understand this is probably not what you intended, but this is not appropriate for the workplace.” We discussed gently correcting patients and more firmly correcting colleagues about using correct professional titles. Because it is often most effective when someone else intervenes to correct behavior, we should be aware of when we see others experiencing microaggressions and step in if possible. In general, women tend to undervalue themselves and ask for more work and less pay than men, so it is important to research salaries before going into a negotiation. Dr. Kibbe recommended Linda Babcock’s Women Don’t Ask: The High Cost of Avoiding Negotiation–and Positive Strategies for Change. Finally, we discussed the importance of identifying mentors we can trust to go to with issues related to bias. Allie Shad is a psychiatric social worker and wellness coach for both the medical school and graduate school. 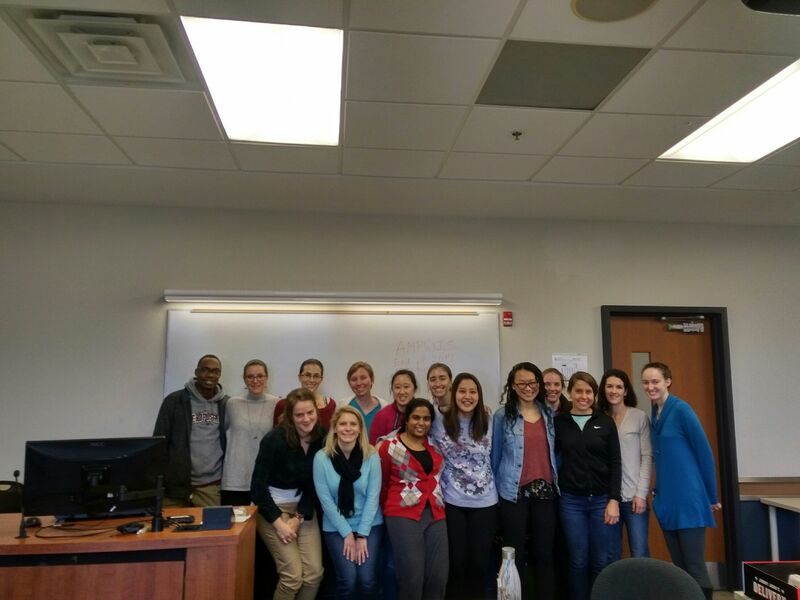 Thank you for joining us at our end of semester meeting today! One important take-away is that from now on, all positions are 1-2 year commitments (you may choose 1 or 2 years), and at the end of 2 years, you will need to reapply if you would like to continue with your current position. The application process is very easy. Here is the link: https://goo.gl/forms/SeKBw042gnvdh7GD2. The due date is Friday, January 12.